In a city like Cincinnati, it can almost feel impossible to locate the “right” Toyota dealership. Although there are many dealerships that will claim they can save you money, there is typically a trade-off. At those other dealers you will typically will find poor customer service, high pressure salesmen, or vehicles lacking in quality or variety. With so many mediocre dealers how can you find a dealership that has a noteworthy inventory and excellent customer service? We can help! 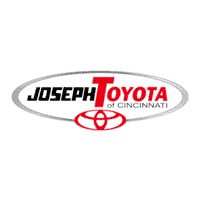 Joseph Toyota the leading Toyota dealership in the Cincinnati area. Read on to find out why. At Joseph Toyota, we put a large emphasis on customer service. We do this to ensure that you don’t feel pressured or hassled into purchasing a vehicle that you don’t want. If you’ve ever experienced a situation like that, you know that it’s awkward and ends badly for all parties. There is absolutely nothing worse than feeling pressured into purchasing a vehicle that you’re not entirely sold on. You end up with this vehicle that you didn’t want sitting in your driveway, and you spend your time daydreaming about the vehicle that you wanted but couldn’t purchase. We prefer to do business with a different model. We work with our customers to provide them with all of the information that they need prior to making their decision. We give our customers a peace of mind that they will not be able to find anywhere else. 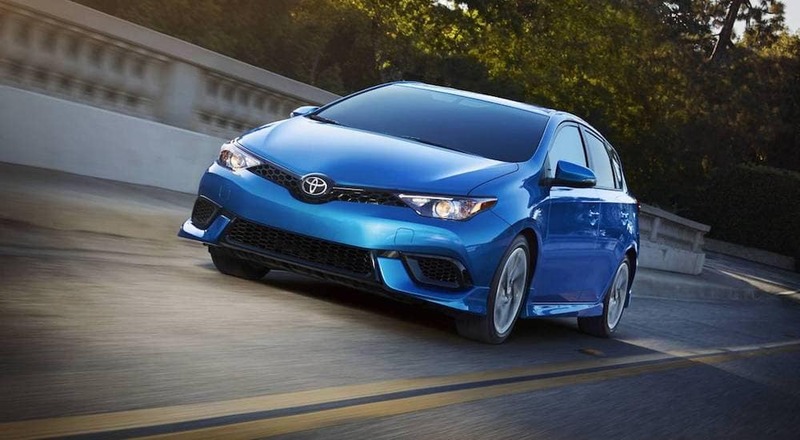 If you want to simplify the car-buying experience, look no further than Joseph Toyota. We provide you with all of the information that you need up front to keep you from being pleasantly surprised later. This applies to cost, as well. What you see is what you’ll pay at the finance center. You won’t be slammed with any hidden fees or costs. That is something that we pride ourselves on at Joseph Toyota. We know that our customers deserve to know exactly what they’re paying before they actually have to pay it. At the end of the day, we work to provide our customers with an experience that is unlike any other in the Cincinnati area. We provide an experience that is easy, true, and clear; that’s the Joseph Toyota advantage. Whatever you’re looking for, you’ll be able to find it in a Toyota vehicle. The new inventory at Joseph Toyota is impressive and diverse. If you’d like to refine your search on our website even further, you can search by interior color, exterior color, trim, features and more. We take the guesswork out of locating your next vehicle with our website. If you’d prefer to see the vehicles for yourself, you can come by our conveniently located dealership during business hours to see what we have. At that point, if you’d like to test drive a vehicle, a representative can assist you with that. If you have any questions, the experts at Joseph Toyota are ready to assist you. If you’re looking for an option that will allow you to drive off of our lot in a reliable and safe vehicle without breaking the bank, our $0 down lease offer will definitely help you. If you’re interested in this option, you can peruse the eligible vehicles on our website and even value your trade to see what your monthly payment would look like. This is just another way that Joseph Toyota makes the car-buying experience simple and easy. Unfortunately, you won’t find many Toyota dealerships that offer similar offers. But, luckily for you, Joseph Toyota is just a short drive away. Stop by today to see how much money we can save you! If you’re looking to purchase a used vehicle to save money on a down payment and a monthly payment, Joseph Toyota has you covered. Our used inventory is extensive and provides you with plenty of options. You’ll never feel like you have to settle for a vehicle that you don’t truly like just because of the low cost. You’ll be able to find options that appeal to you and your wallet at the same time. Shopping with a Toyota dealership that provides as many options as Joseph Toyota does can be overwhelming sometimes due to the fact that there are so many options to choose from. If you’re not sure which vehicle will best suit your needs, a Joseph Toyota expert can help you. If you’re shopping our used inventory, you’ll want to take a look at the CarFax report for each vehicle. This CarFax report will provide you with all of the details necessary in order to make an informed decision. You won’t want to commit to a used vehicle until you know the full history. Thanks to the experts at Joseph Toyota, you’ll be able to view these reports for free, instantly. You can pull them up online or view them in the dealership. We work with our customers to ensure that they are entirely content with their car purchase. As a premier Toyota dealership, we provide a comprehensive service center that will take care of your maintenance needs. After you purchase your vehicle, you may need to get routine maintenance done on your vehicle, such as an oil change. You could bring it to the service center around the corner, however, why wouldn’t you bring it to the experts who specialize in knowing your vehicle. Who better than a Toyota dealership to service your new Toyota vehicle? We make scheduling your appointment easy and simple with our online service request. You can request service right from the website, which will save you time for the more important things. Additionally, there are service coupons that you can select right on the website to save money on parts and services. This is just another way that we make the entire process simple and easy. Come see what Joseph Toyota can do for you today!